Hardcover with jacket, 352 pages, 12.5 x 20.5 cm, 4.9 x 8.1 in. The novel is set in Rome in 1999. The story centres around a week in the life of the film producer Montgomery Cassini-Stahl. He is an intelligent and powerful man of around fifty, who falls more seriously in love than he has ever done before – just at the point in his life when he is realizing a project very close to his heart: a revision of Veit Harlan’s „Jud Süß“ (Jew Süß) in order to do justice to the great historical figure Joseph Süß Oppenheimer. 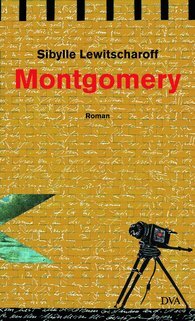 When his brilliant leading actor, who is unfortunately over fond of a drink, disappears somewhere in Rome’s many dives, Montgomery has to take on the role for a while. Things build up to a dramatic climax in which he is confronted with the key events of his life – the death of his brother by drowning and a difficult childhood in Stuttgart. Sibylle Lewitscharoff‘s previous novels already bear witness to her extraordinary skill with words and style; her latest novel shows that she also knows just how to tell a great story.